All inclusive access including: Blue Irie (www.facebook.com/PlayaDelReyBand), DJ Maple Syrup (www.facebook.com/djmaplesyrup). 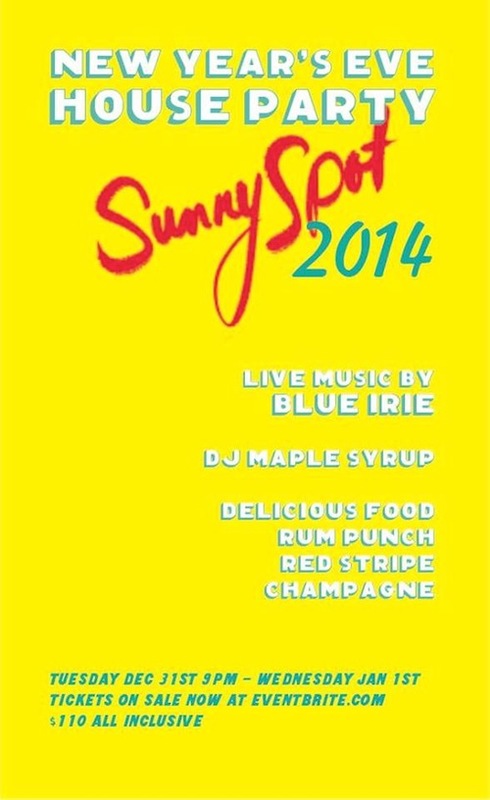 Unlimited:&nbsp;Dancing, Rum Punch, Red Stripe Beer, Delicious food, Party Hats, Noise makers & Champagne. Toast at Midnight!